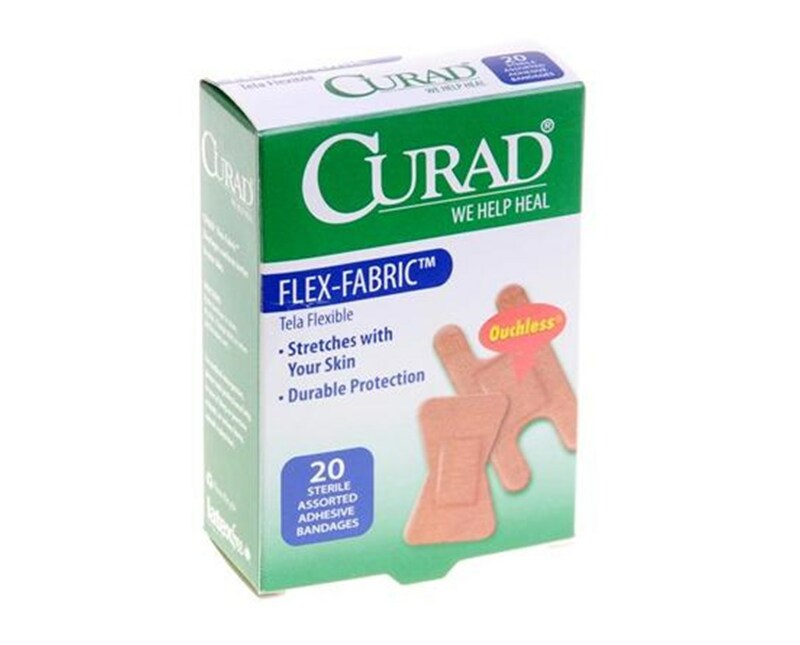 Curad's Flex-Fabric Bandages are designed for people with active lifestyles who require a comfortable bandage to "stay put" even when wet. 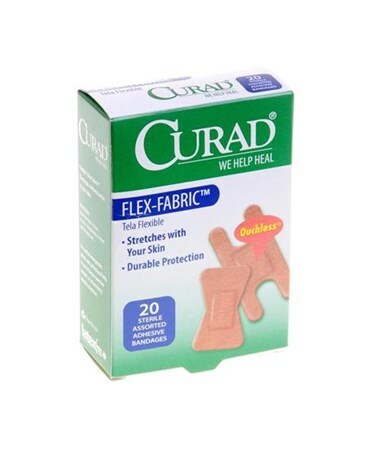 Flex-Fabric Bandages are made of woven fabric designed to stretch, bend, breathe and stay on comfortably. The water-repellent coating keeps the bandages dry and secure. The skin-friendly adhesive leaves no sticky residue on the skin. The bandages are sterile and latex-free.